Now, computer simulations by scientists from the Department of Energy's SLAC National Accelerator Laboratory suggest that a new method could turn random fluctuations in the intensity of laser pulses from a nuisance into an advantage, facilitating studies of these fundamental interactions. The secret is applying a method known as "ghost imaging," which reconstructs what objects look like without ever directly recording their images. "Instead of trying to make XFEL pulses less random, which is the approach we most often pursue for our experiments, we actually want to use randomness in this case," said James Cryan from the Stanford PULSE Institute, a joint institute of Stanford University and SLAC. "Our results show that by doing so, we can get around some of the technical challenges associated with the current method for studying X-ray interactions with matter." The research team published their results in Physical Review X. Scientists commonly look at these interactions through pump-probe experiments, in which they send pairs of X-ray pulses through a sample. 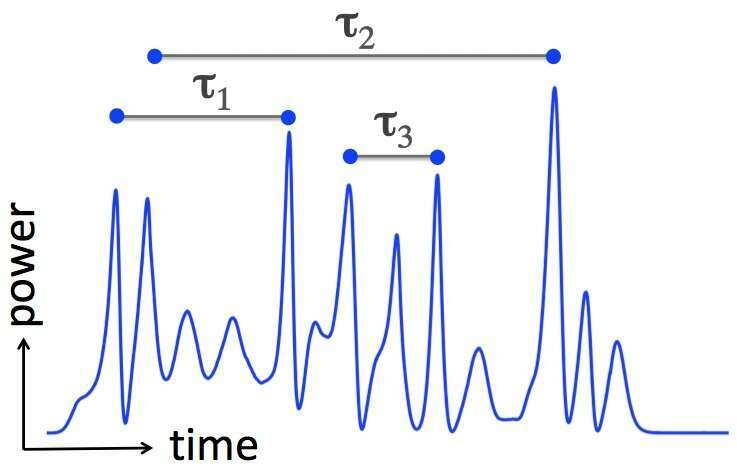 The first pulse, called the pump pulse, rearranges how electrons are distributed in the sample. The second pulse, called the probe pulse, investigates the effects these rearrangements have on the motions of the sample's electrons and atomic nuclei. By repeating the experiment with varying time delays between the pulses, researchers can make a stop-motion movie of the tiny, fast motions. One of the challenges is that X-ray lasers generate light pulses in a random process, so that each pulse is actually a train of narrow X-ray spikes whose intensities vary randomly between pulses. "Pump-probe experiments therefore typically require that we first prepare well-defined, short pulses that are less random," said SLAC's Daniel Ratner, the study's lead author. "In addition we need to control the time delay between them very well." In the new approach, he said, "We wouldn't have to worry about any of that. We would use X-ray pulses as they come out of the XFEL without further modifications." In fact, in this new way of thinking each pair of spikes within a single X-ray pulse can be considered a pair of pump and probe pulses, so researchers could do many pump-probe measurements with a single shot of the XFEL. 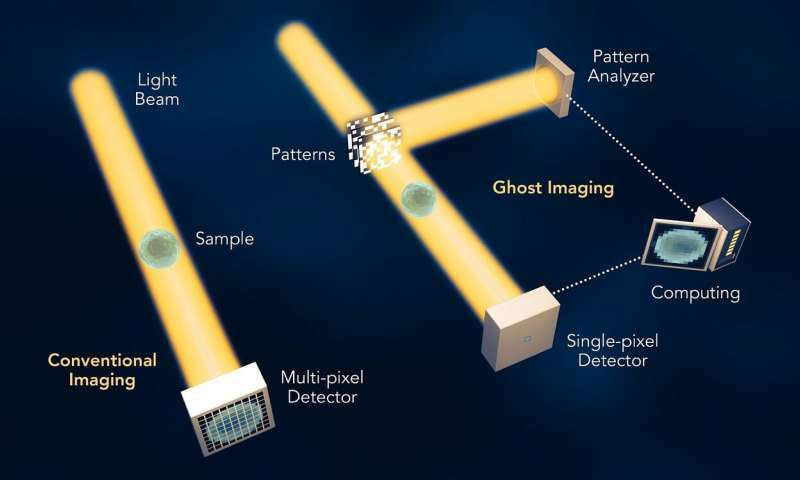 To produce snapshots of a sample's molecular motions with this method, Ratner and his coworkers want to apply the technique of ghost imaging. In conventional imaging, light falling on an object produces a two-dimensional image on a detector – whether the back of your eye, the megapixel sensor in your cell phone or an advanced X-ray detector. Ghost imaging, on the other hand, constructs an image by analyzing how random patterns of light shining onto the object affect the total amount of light coming off the object. 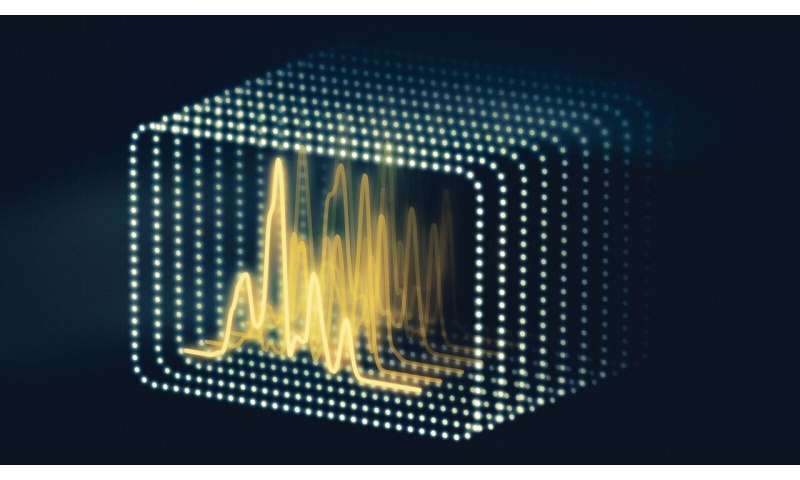 "In our method, the random patterns are the fluctuating spike structures of individual XFEL pulses," said co-author Siqi Li, a graduate student at SLAC and Stanford and lead author of a previous study that demonstrated ghost imaging using electrons. "To do the image reconstruction, we need to repeat the experiment many times – about 100,000 times in our simulations. Each time, we measure the pulse profile with a diagnostic tool and analyze the signal emitted by the sample." In a computational process that borrows ideas from machine learning, researchers can then turn these data into a visualization of the X-ray pulse's effects on the sample. So far, the new idea has been tested only in simulations and awaits experimental validation, for instance at SLAC's Linac Coherent Light Source (LCLS) X-ray laser, a DOE Office of Science user facility. Yet, the researchers are already convinced their method could complement conventional pump-probe experiments. "If future tests are successful, the method could strengthen our ability to look at very fundamental processes in XFEL experiments," Ratner said. "It would also offer a few advantages that we would like to explore." These include more stability, faster image reconstruction, less sample damage and the prospect of doing experiments at faster and faster timescales. "X-ray free-electron lasers (XFELs) produce incredibly powerful beams of light that enable unprecedented studies of the ultrafast motions of atoms in matter." -And also unprecedented accuracy and efficacy in treating tumors. Along with breakthrough MRI technologies, an MRI-guided stereotactic multi beam system could locate multiple tumors as small as 100 cells and treat them all in one session. And AI could plan the treatment to minimize damage to surrounding tissue while delivering maximum dosage to the cancer. "These results are the first evidence that the 89 eV soft X-ray laser is able to induce DSB in living cells. Our study demonstrated that this irradiation system is a useful tool for investigating the radiobiological effect of soft X-ray laser."